Preparations for your first long-distance, cross-country move can be exhausting and stressful. A planner or checklist does help reduce some of the concern and worry, but you can do some other things too. 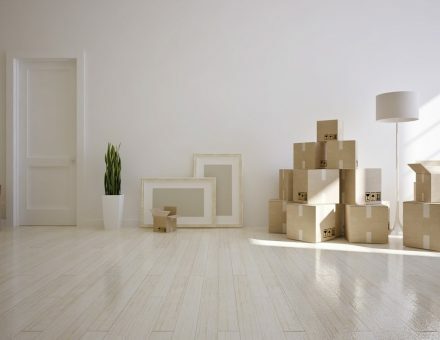 If you want to make the move easier and less stressful, you need to consider some tips that you can use ahead of the move. The first thing to do before your cross-country move is review your contracts. Review contracts from your moving company and utilities provider, and check other contracts related to the move and new location. Check for guidelines regarding the move, such as what items you can’t have packed, items you need to transport yourself, or items that are restricted in your new location. If you own the home at the new location, make sure you check any utilities contracts to prepare for scheduled installation. You may find you need to reschedule if an installation requires someone to be present and this conflicts with your moving schedule. These last-minute adjustments and checks can ensure a smoother transition to the cross-country move. You will also have the chance to ask questions regarding alternative moving options if you have items that are restricted by the moving company. You may want to pack everything and sort items later, but this system can cause some frustration. When you pack everything without going through it you end up with items you do not want or need. These unwanted items cause clutter in the new location. You can avoid this unnecessary frustration if you clean out your items as you go. Take a few extra days at the start of the packing process to begin sifting through the items. This process reduces the amount of space you use for the move. The process also means less work to do after the move. Moving companies that offer packing and unpacking services will use an inventory list. That doesn’t mean you will receive a copy of that inventory. The inventory and itemization taken by the movers is usually used for Bills of Lading or service departments. You can create an itemized list room by room and as you pack or prepare for the packing service. You can then check the items you have listed against the items that show up at the new location. You will have a clear inventory of what is missing and what arrived. Most homeowners have items that are costly, and in some cases impossible, to replace. Jewelry, family heirlooms, antique furniture, and vintage tableware all fall into that category. Before the move, make sure to not only inventory these items but also have them appraised and insured. Once you receive an appraisal certificate for each item, take a picture of each item. Create a binder that has a picture of the item along with the appraisal certificate. Use the binder as reference for the insurance company if an item is damaged or lost. The binder should travel with you on the move. One of the key points to reducing your stress and exhaustion for a cross-country move is to have a go box ready. A go box has the items you need to make the first few days at the new location less stressful and easier on your family. Your go box could include a coffee maker, coffee, filters, creamer, and other morning items. You should also include an extra pair of clothes for each member of the family for both day and nightwear. Consider including some snacks as well. Also include back up chargers, bath supplies, and hygiene items in sample or travel sizes. One of the leading frustrations during a move is when items leak during shipping. You can avoid leaks and damages from leaking products when you dispose of opened and used cleaning products. Keep in mind, most cleaning products will strip wood finishes and ruin or stain items. For example, bleach can damage an entire box of clothing easily. Once you have removed the opened cleaning products, double check the sealed products. Make sure the seals are still tight. This will ensure that your boxes will arrive undamaged from internal chemicals, stains, or fluid damages. Also, some companies will request that no unsealed cleaning products be transported. Check with your moving company to determine their rules on cleaning and chemical items. These moving tips can help you reduce your exhaustion and stress during your cross-country move. Make sure to contact Bekins when you are ready to schedule the move. We can handle scheduling and questions, and we can offer help with supplies for your move. We also offer full-service moving including packing services, loading, and unloading services. Let us help you no matter where you’re moving.